Vast areas of the globe’s coastal zone have experienced significant declines in ecosystem health. Deteriorating water quality, loss and alteration of vital habitats, and reduced populations of fish and shellfish are some of the major changes recorded. Establishing and running an effective assessment program is a complex process that necessitates strategic collaboration and partnerships between many individuals and agencies. This book was written to make the process of running a coastal assessment program easier and the outcomes more effective. 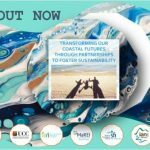 It provides a step-by-step approach from data collection and information management to synthesis and application and draws on the knowledge of a variety of coastal scientists and managers. Future Earth Coasts is the new name of the Land-Ocean Interactions in the Coastal Zone (LOICZ) project. Its mission is to support adaptation to global change by integrating scientific knowledge from all disciplines at global, regional and local scales.